To detach yourself from the hustle and bustle of life, a staycation is the perfect antidote. It’s like a mini holiday, sans the hassle of travel, plus you’ll get to save money on flights! The question is, with so many options available, where you should go for that well-deserved break? Take your pick from this list of cool staycations in Southeast Asia perfect for the long weekends! 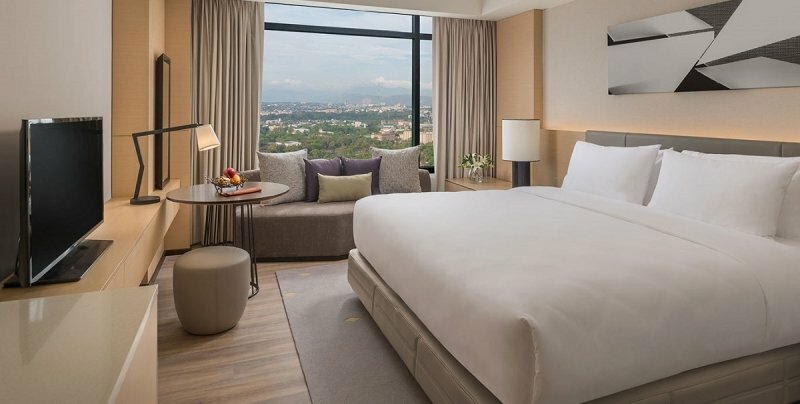 While Kuala Lumpur might not necessarily strike you as the go-to place for a staycation, Ambassador Row Hotel Suites by Lanson Place gives you all the reason to stay in town for your long holiday. Nestled in the heart of the Golden Triangle, it combines convenience with comfort and provides a relaxing environment for you to relax in. With spacious rooms, state-of-the-art gym facilities and invigorating spas, you’ll be so busy enjoying yourself you won’t realise your holiday has flown by! 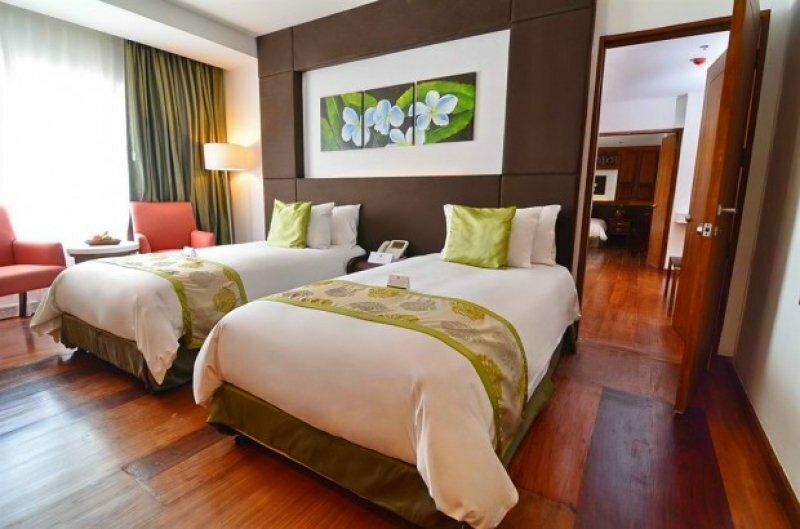 Treat yourself to a stay in their luxurious Duta One Bedroom Suite with their special Duta Energize Retreat package! It comes along with unlimited access to Duta Lounge, complimentary breakfast as well as treatment at Charawon Spa! You won’t believe this package starts at only RM 366! Read more about Ambassador Row Hotel Suites by Lanson Place here. 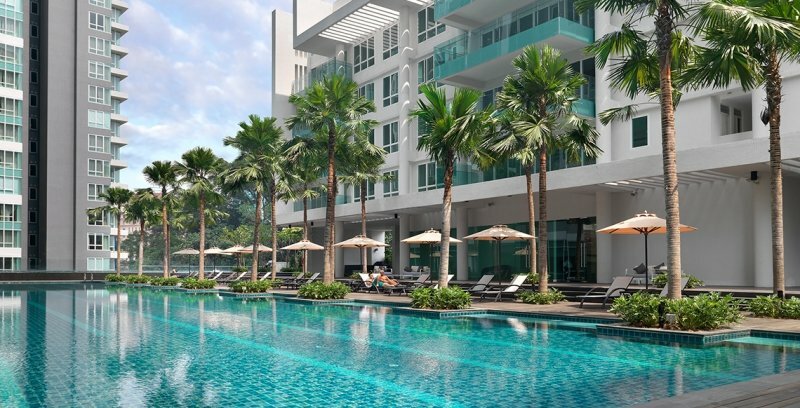 Another one in the Golden Triangle area, Lanson Place Bukit Ceylon Kuala Lumpur is the perfect jump-off point to go sightseeing! Their exquisitely designed and fully furnished accommodations provide luxury living without being intimidating. After all, designed by world-renown Mr. Koichiro Ikebuchi, the place brings maximum yet subdued touches of modernity and stylishness. Just the view of the hotel’s outdoor Olympic-sized swimming pool complete with loungers and umbrellas immediately sets the mood for a lazy holiday interspersed with late afternoon cocktails – the epitome of luxury. For something extra special, head up to the 49th floor for some authentic Malaysian barbeque to savour along with the sparkling city lights. Lanson Place Bukit Ceylon Kuala Lumpur offers the best value for money when you book with them for your long holiday! With special monthly rates starting at just RM 9,600 a month, you won’t find anyplace better at such a price! 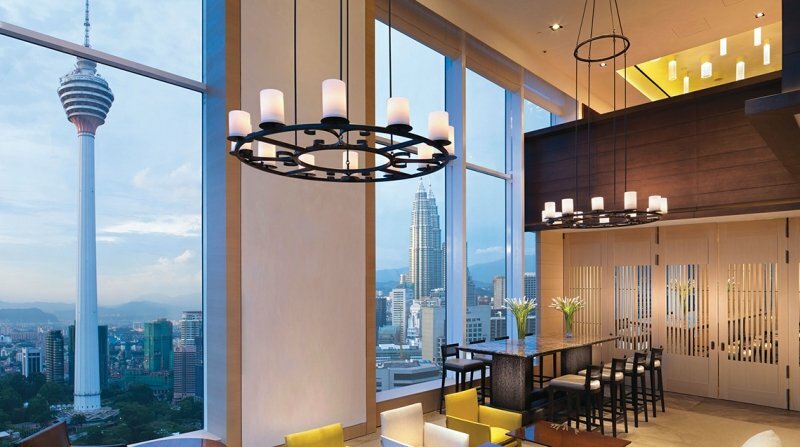 Read more about Lanson Place Bukit Ceylon Kuala Lumpur here. As the first Service Residence to share the name and prestige of the legendary Eastern & Oriental Hotel, you can expect to enjoy the same immaculate attention and hospitality they’re known for. Beyond just impeccable service, the chic and stylish suites are incredibly spacious, with their one-room suite being spacious enough to comfortably host 3 people! With all the amenities specifically tailored to meet your needs, you might find it hard to leave the suite at all. For something really premium, why not consider Winsland Serviced Suites by Lanson Place? Stepping into this peaceful apartment abode, it’s clear as day why it was crowned the Best Serviced Residence of 2018. Stylish, modern and comfortable, this serene sanctuary envelopes you in homely vibes. The room features an integrated kitchenette and spacious living room that makes for a stunning space, especially ideal for longer solo staycations. There are also plenty of facilities to enrich your time such as a communal kitchen and a gym, and even an urban cultivator. Did we mention they’ve got a jacuzzi on their rooftop pavilion too? Winsland Serviced Suites by Lanson Place is now offering you their special Bed & Breakfast Offer! 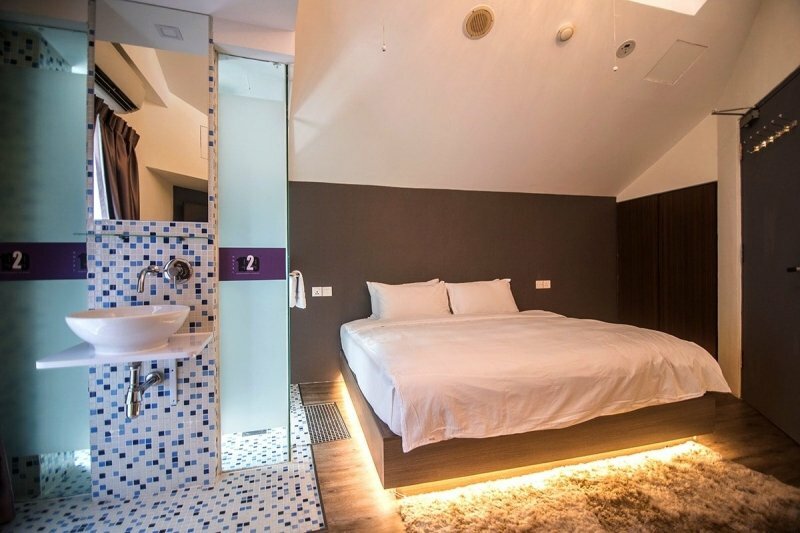 For just SGD 288, you get to roll around in comfort in their One-Bedroom Executive Suite with over 50 sqm of space! Along with daily breakfast, complimentary housekeeping and use of facilities, you’d wish you lived here! Read more about Winsland Serviced Suites by Lanson Place here. Refurbished from vintage shophouses, Hotel 1929 provides a pop-urban vibe with its themed retro furniture and clear glass bathrooms. The rooms ooze old-world charm fused with modern chic, but what’s really the icing on the cake has to be their outdoor bathtubs on the rooms’ private rooftops. If you fancy a bath under the stars, their terrace suites have you covered. 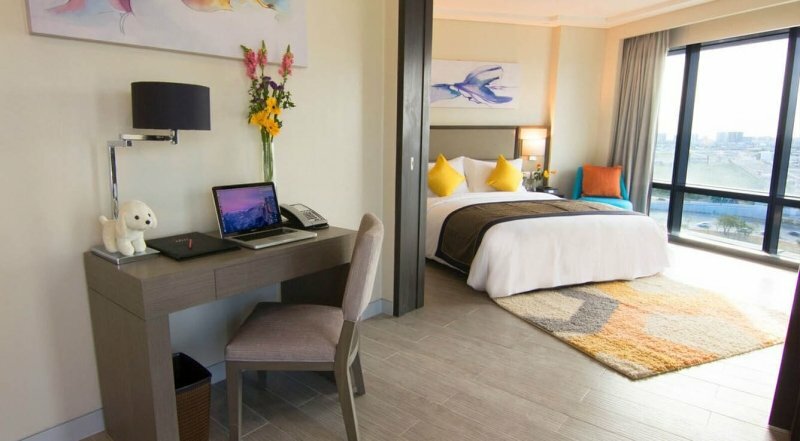 Artsy decors, business and family-friendly amenities, sweeping city views, strategic location — it seems like this modern hotel in Quezon City has it all! What's more, Seda Vertis North pays homage to the world-class creativity of Filipino artists through special touches found throughout the lobby and other areas. 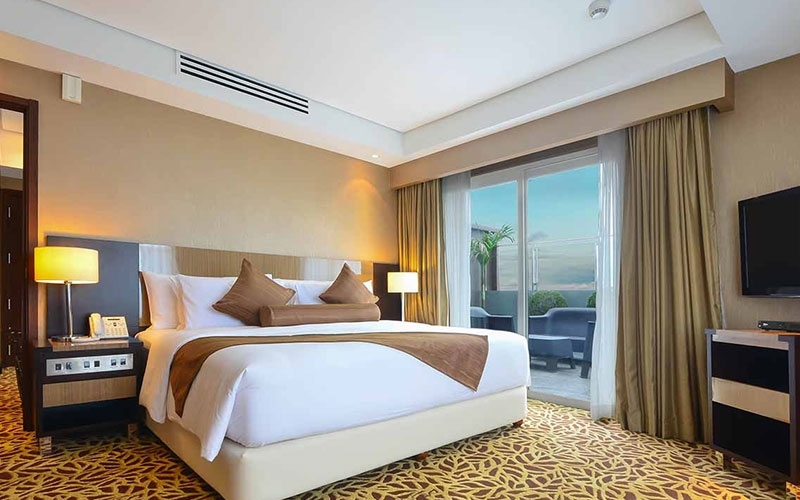 With nearby shopping malls more crowded than usual on long weekends, you'll find repose at the elegant rooms of the hotel, particularly the Club Room. Aside from offering you a Deluxe Room, it gives you access to the Club Lounge, where you can enjoy daily buffet breakfast, cocktails and other beverages. And let's not forget their Instagram-worthy swimming area, too! Indeed, the universe rewards those who plan early. 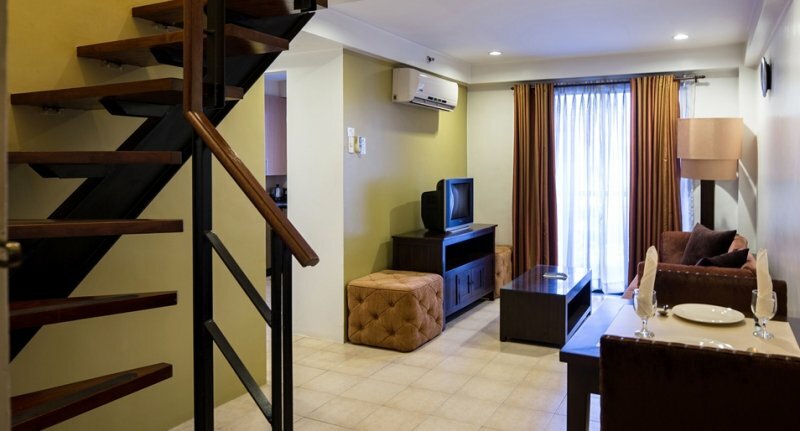 Book your stay at Seda Vertis North at least two weeks before your intended arrival and enjoy a 15% discount! 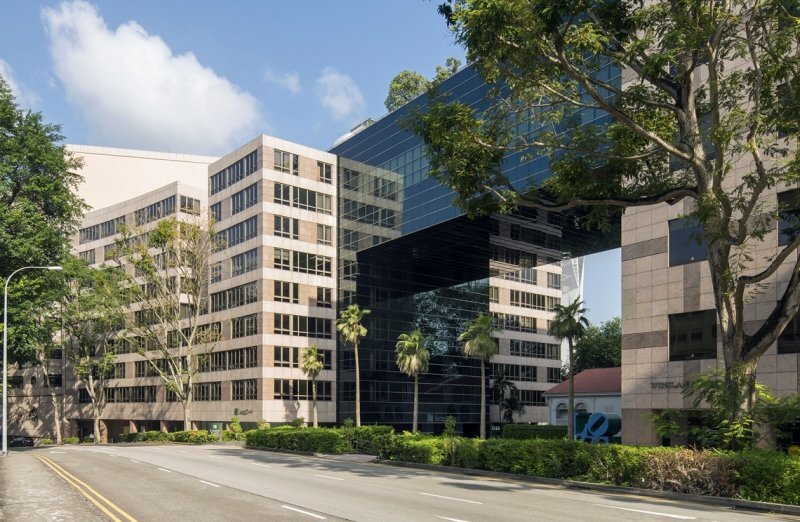 Read more about Seda Vertis North here. 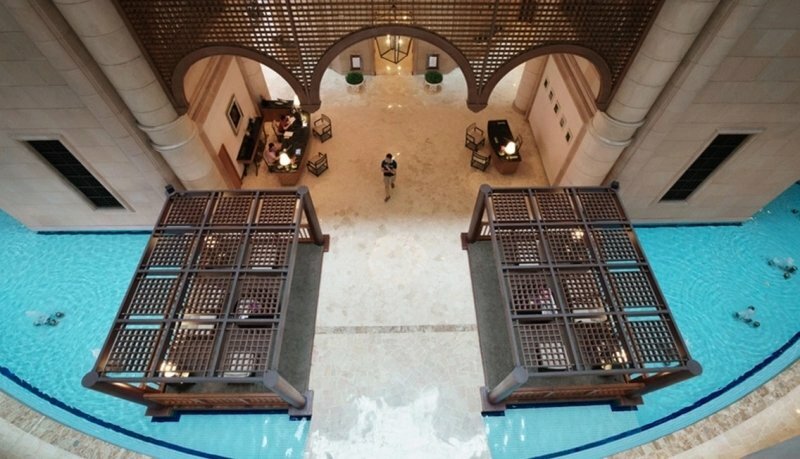 Now, this is a hotel fit for royalty. Modelled after traditional Italian architecture, Torre Venezia Suites brings a slice of Italy to Quezon City. Stepping into the baroque lobby surrounded by floral embellishments and golden hued-lights, it really does feel as though you’ve stepped away from the hustle of the city into a tranquil Italian city. While they have various luxury suites, what’s really worth noting is their 2BR Appartamento. Located on the residential floors of the hotel, these apartments are available for guests to book for long stays. In fact, the longest stay was six months! Combining the luxury of hotel rooms with a taste of home, you really feel as though you could live here forever. Get your money’s worth with Torre Venezia Suites’ ultra-value Weekday Madness package! Enjoy a whopping 45% Off on any room you choose, as well as complimentary breakfast when you stay on the weekdays! Read more about Torre Venezia Suites here. Savoy Hotel Manila is an up-and-coming hotel that gives you a whole new standard of class without having to choose between price, quality or accessibility. You won’t even miss home thanks to how bright and refreshingly cheery its interiors are. It’s safe to say with how trendy and modern the hotel is, you can expect the rooms to be tastefully furnished and full of amenities you need to relax yet be productive at the same time. Doing business in one of their many function rooms won’t feel a tad bit boring as it’s designed for both business and leisure. If you’re not busy working (you really shouldn’t! ), you can spend a sunny afternoon looking over the Metro Manila skyline outside your window. Savoy Hotel Manila invites you to be their guest with their Stay Awhile package! And just like the name implies, the longer you stay, the better the deal! Not only would you get your last night free when you book for a five-night stay, but you’ll also get to indulge in a scrumptious breakfast buffet feast along with more goodies! Read more about Savoy Hotel Manila here. Considered the country’s first truly Green Hotel, the floral and woodwork theme exudes a classic yet serene feel throughout the hotel. It is environmentally responsible without compromising luxury, so you can relax and indulge without having to worry about your carbon footprint. A staycation shouldn't have to be stressful! Acacia Hotel Manila offers one of the most extensive selections of amenities that clearly define what a pampering holiday stay is supposed to be like. Here you can expect true Filipino hospitality, meant to make you feel like it’s home away from home. A premier beachside resort known for its warm Balinese hospitality and extensive services, it’s the perfect place families, friends and couples alike! It’s incredibly convenient too! Parked among shopping establishments, art markets, Waterbom Park and plenty of entertainment areas, everything you’d need is at your doorstep! That being said, we’re not too sure you’d want to leave the resort either. 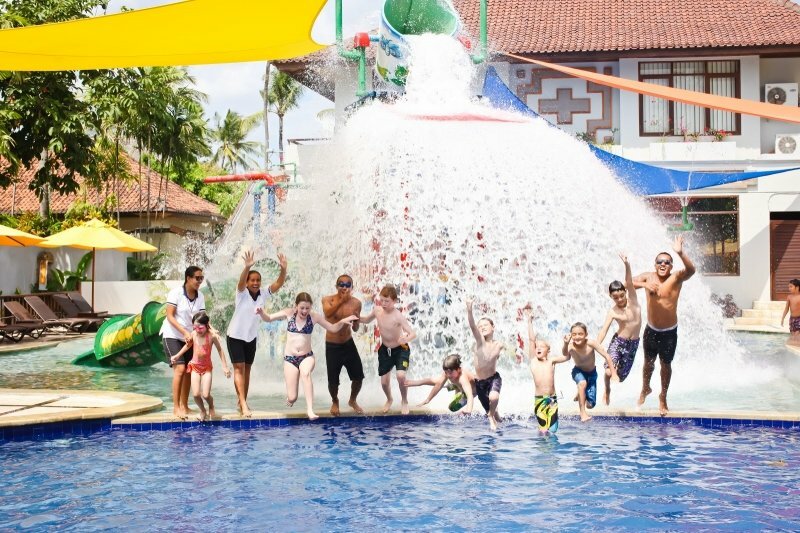 When you’re in Bali Dynasty Resort, you’d be silly to pass up on the opportunity to splash around in their pool. Aside from the main pool, adults would love to enjoy the spa-styled pools that are completely children-free! Meanwhile, you’d find it hard to tear your kids away from the Kids Water Fun Zone for sure. After all, a resort with charity efforts to help patients-in-need know best on how to cater to your needs. Don’t just take our word for it, take their Family Special Offer! 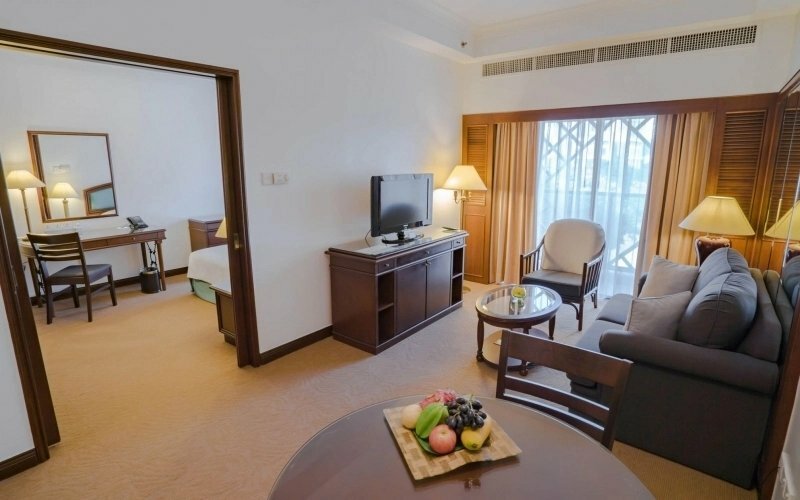 Enjoy great discounts on their family room when you stay for seven nights or more! Not only do you get free use of all three of their pools, enjoy Happy Hours twice a day as well as a daily buffet breakfast. They even provide free return airport transfers and more! Read more about Bali Dynasty Resort here. Who knew you could have an African experience in the middle of Bali? 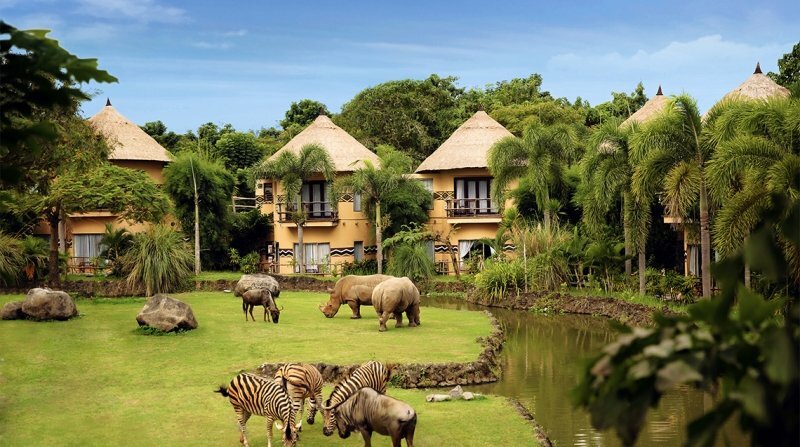 Located within the Bali Safari & Marine Park, be prepared to be swept away into an African expense! That’s right, you’ll even get to see live animals from the comfort of your rooms! Here you get to watch the animals up close as they go about their business, completely unlike a zoo. You can even get involved in the feeding process, or take part in a Safari Journey or Night Safari! 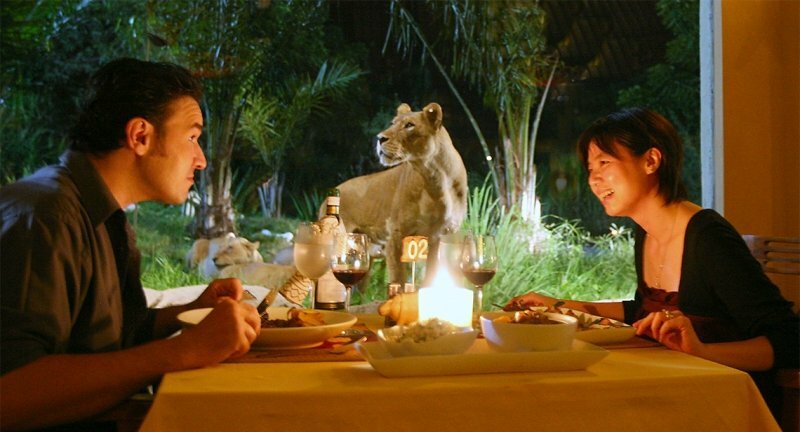 In fact, if you’re lucky enough, you might even get to dine with lions at the Tsavo Lion restaurant! If you can’t get enough of Mara River Safari Lodge, why not take up their 3D2N package? Specially tailored for longer stays, it includes all the best activities to fill your days there (and yes, this also includes daily breakfast at Tsavo Lion Restaurant.) Who knows, you might wish your trip was longer too. Read more about Mara River Safari Lodge here.